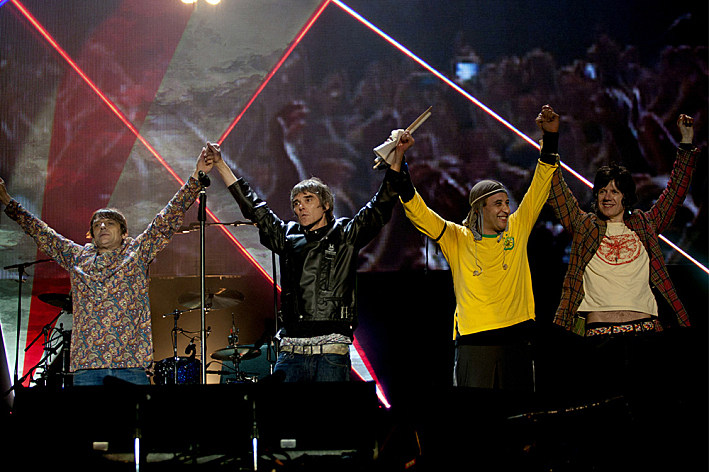 Reports are surfacing in England that Manchester’s pride and joy, The Stone Roses, are finally planning to release a third studio album. Stop Me If You Think You Heard This One Before, but I’ll believe it when I see it on The Spotify. In the unlikely event this is true, this will be the follow-up to 1994′s Second Coming. The baggy Heritage legends reformed back in 2012, but rumors of another split surfaced in 2014. Recently, the band announced a few upcoming shows, including a headlining appearance at Madison Square Garden in New York City. The group has only played two U.S. shows since reuniting, both coming at the 2013 Coachella Music Festival. I was there, of course.